Newbury Park, here I come! 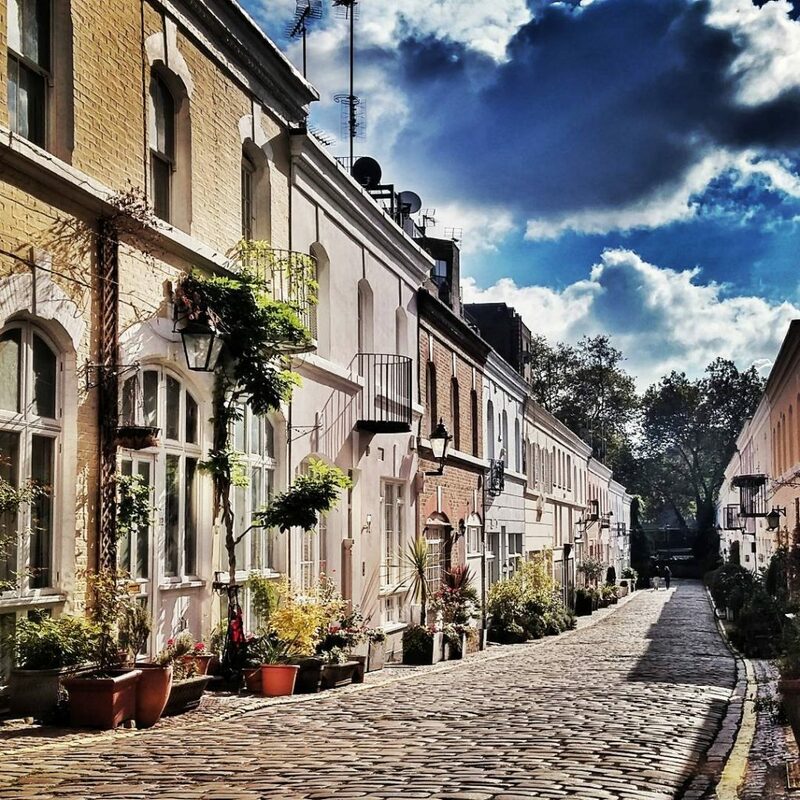 Who’s ready for a novel, yet still depressing, way of looking at London property prices? All of you? Good! 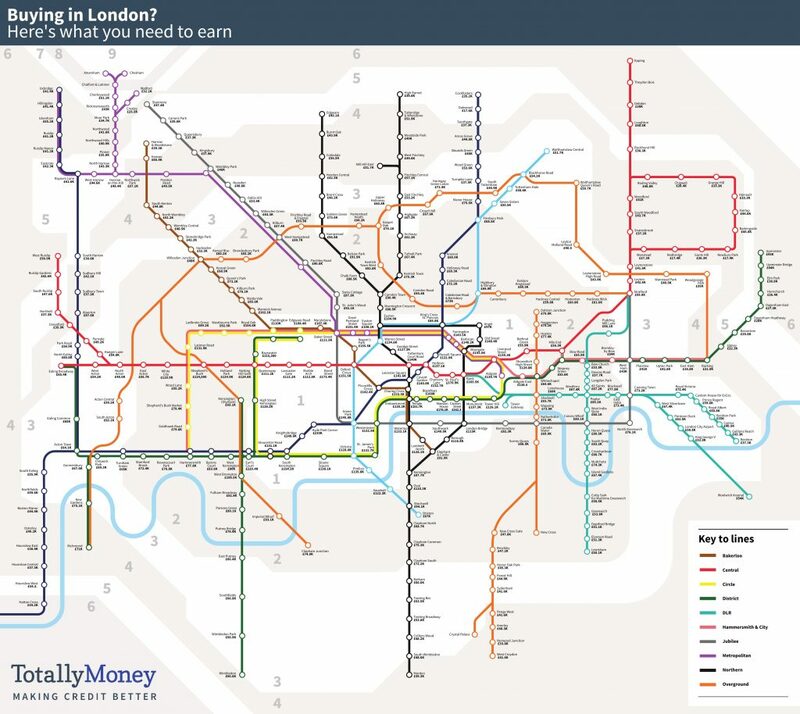 TotallyMoney have released an updated version of the Tube map, which reveals how much you’d need to earn to afford a one-bedroom flat at each stop. The results are, predictably, less than rosy. The study took the median price of one-bed properties within one kilometre of each station, and assumed a deposit based on 10% of your earnings. The bad news is, if you’re making £20,000 or less a year (#millenniallife), you have only three options. Joint cheapest are a couple of spots out along the Central Line, with Redbridge and Newbury Park requiring a median salary of £17,400 to afford a one-bedroom pad. Option 3 is up on the Piccadilly Line, as Oakwood comes in at £17,600. 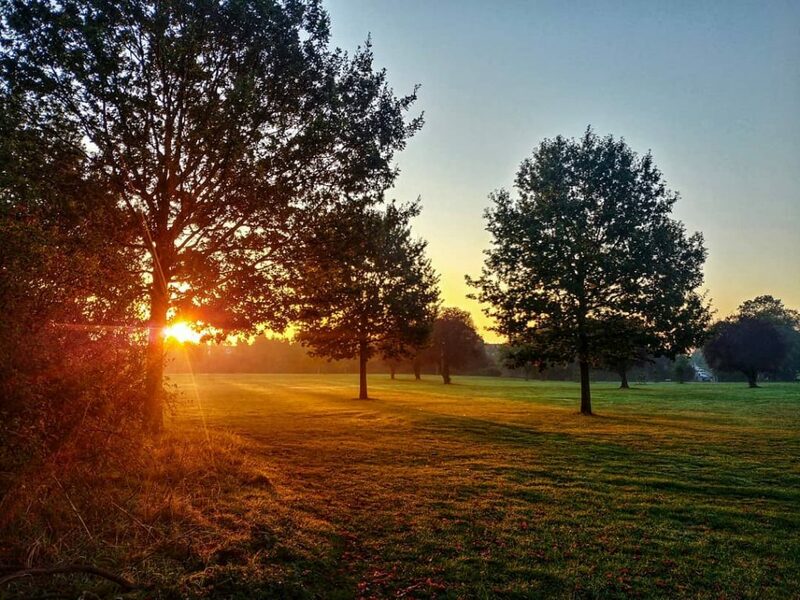 Rounding out the top five are Upney on the District Line (£22,300 average) and Croxley, tucked up in Zone 7 on the Metropolitan, for which you’ll need £25,500 on average. There are few surprises at the other end of the scale. 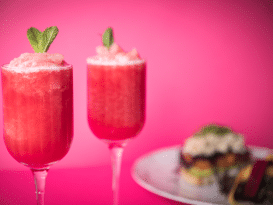 To the shock of absolutely nobody, Knightsbridge proved to be the most expensive Tube stop, with a salary of £248,600 required to afford a place here. Hyde Park Corner, Mansion House, Bond Street, and St Paul’s round off the most expensive five – not that you or I are likely to see them anytime soon, mind you. Looking at affordability by profession yields a couple more nuggets of information. Sadiq Khan’s salary of £143,000 means the Mayor has his pick of 92% of Tube, Overground, and DLR stations. Compare that to your average nurse whom, with a salary of roughly £28,000, can afford around 2% of them. 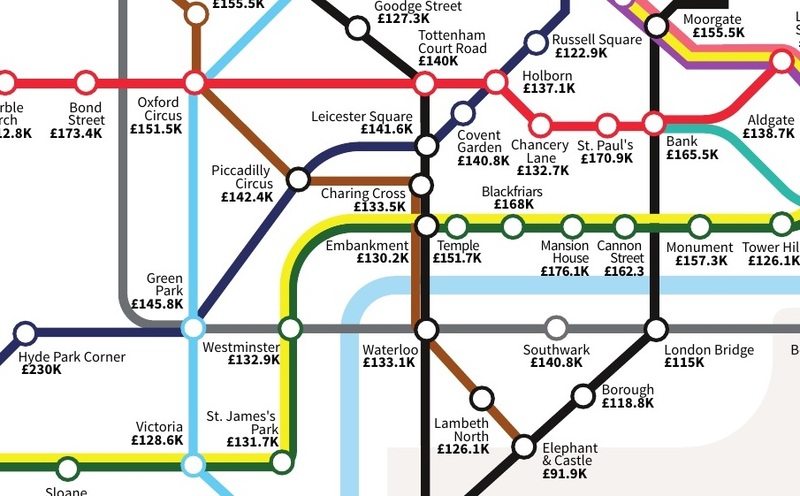 The average flat price for each line, meanwhile, sees the Circle Line storm to the top, with an average salary of over £160,000 needed to buy here. Cheapest is the Overground, at a shade over £64,000 on average, with the DLR, Metropolitan, and Central the only others below £73,000. As Tube maps go, this one is informative and thought-provoking – but I think I prefer the original. You can see the full map, along with a more complete breakdown of the numbers, here.